Simply hit "PLAY" for a guided tour, or walk through the home independently. 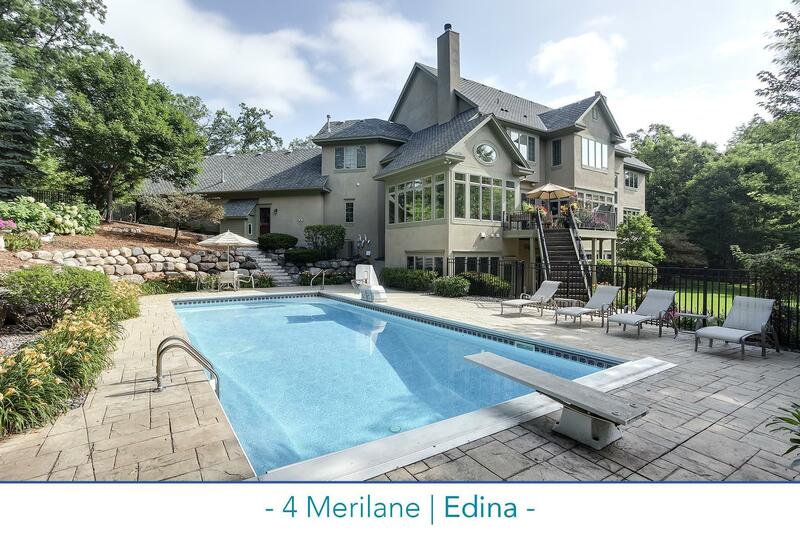 Custom built Steiner & Koppelman home for sale on a very private site tucked into Rolling Green, Edina. Soak in the sun with walls of South facing windows to the private rear yard, pond, and stunning pool. Work from the paneled library, entertain from the vaulted living room, enjoy cooking and relaxing in the open kitchen and family room. Watch over the pool from the sunroom. Amazing four-car garage. Four bedrooms and three baths on the second level. Walkout lower level is packed with features like a wet bar, fireplace, movie theater, wine cellar and so much more.